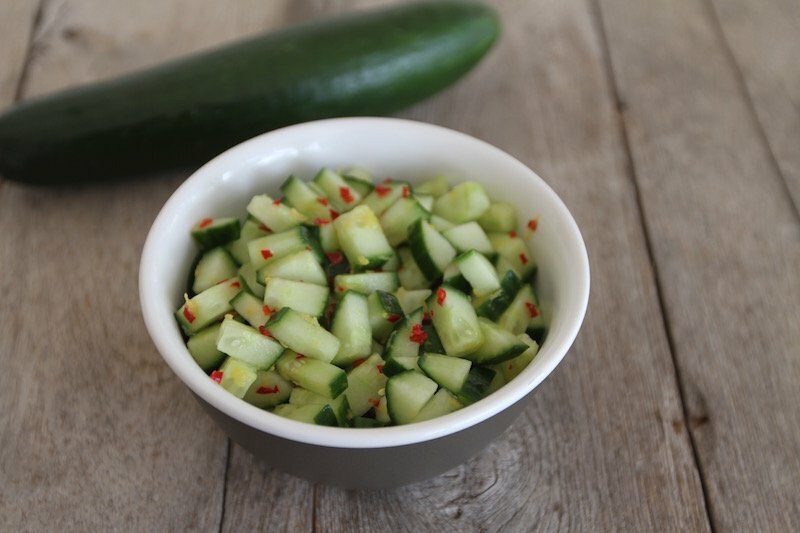 This cucumber chili salad is great with fish or even other salads. Cut the cucumber in small squares and place them in a medium size bowl with the chopped chili, remember to remove the chili seeds. Add the rest of the ingredients and mix it well.